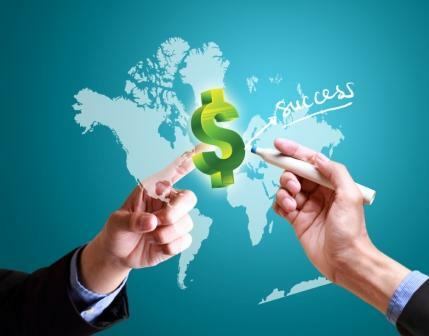 Thanks in large part to the Banks and Financial Institutions Act of 1995 and the Offshore Banking Act of 1996, conducting business in Belize is an especially appealing choice for financial and banking companies. The know-your-client rule helped establish boundaries, protecting both the account holder and the bank itself, and the impressive tax jurisdiction made Belize an obvious choice for investors from around the world. If you and your company want to obtain an international banking license in Belize, understanding and adhering to these steps will be key. Any company or person aiming to obtain an international banking license in Belize will, by default, need to have a bank account within the jurisdiction. Anyone who does not yet have an international bank account in Belize should open one immediately before moving forward with the following steps of the process. The official road to obtaining an offshore banking license in Belize starts with an introductory meeting with representatives of the Central Bank of Belize. During this meeting, you will not be required to submit any documents. Instead, it is a time for you to ask questions about necessary documents or adherence to any specific guidelines. There are two types of offshore banking licenses granted in Belize: Class A and Class B. A Class A banking license has virtually no operational restrictions but does require a minimum capital investment of $3,000,000 USD. The Class A license costs $20,000 in fees annually. A Class B license requires $500,000 USD in capital investment, but includes some restrictions like not offering checkbooks to depositors. The Class B license costs $15,000 annually. Once you have determined which of the two types of offshore banking licenses is best for your business, you'll need to secure the appropriate application forms and begin filling them out. This is when having an experienced licensing consultant in Belize can be a tremendous help. Although you will need to file copies of the application elsewhere, you will also need to formally submit the originals at a second meeting with representatives of the Central Bank of Belize. Along with your application, you will need to provide supporting documents that back up the goals of your banking company. As well as basic items like notarized copies of passports, you will need to show proof that potential bank officers and directors are in good financial standing and have ample experience working in the financial field. If these documents aren't in English, they will also need to be translated. The entire process from initial introductory meeting to the granting of an official offshore banking license typically takes anywhere from six months to a full year. After submitting all the supporting documents, there is nothing to do but wait. After a month, it is common to ask whether all documents are suitable and if any additional items are needed, which can help to speed up the process. Obtaining an international banking license in Belize is a straightforward process. All you need to do is follow the steps and have patience that the license will come through.